Weatherzone® is able to provide an automated proactive alerting service to ensure you are kept aware of real time lightning, bush fires and weather proximal to your operations. The service is operated 24 hours per day, 365 days per year on Weatherzone’s extensive IT resources. Knowing when and where lightning has struck provides invaluable detail to help coordinate any response or mitigation. Our alerting service ensures that you are aware of any threats to your property and people no matter how many events occur. Implement a scaled response to lightning, bushfire and weather events, minimising downtime whilst maximising safety. Our network ensures that you are using the best lightning information available. We provide the most extensive and accurate lightning services in the country. 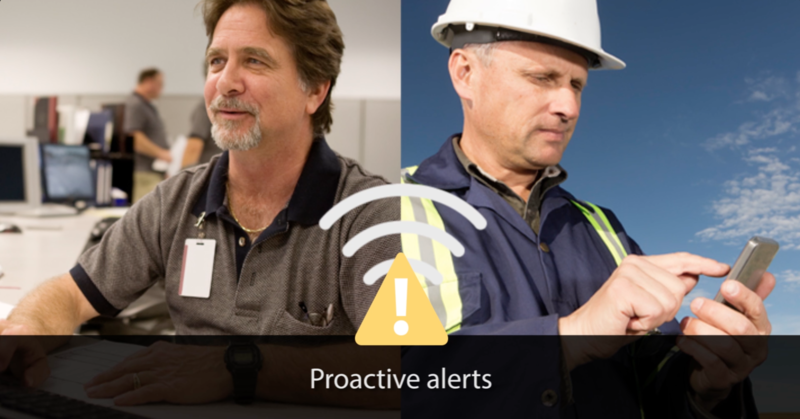 Combined with our proactive alerting technology, you can be certain that your assets and people are kept safe. The delivery mechanism for these alerts is usually via email, SMS or even desktop widget, allowing you to get on with your work worry free. Embargo times will prevent excessive alerts being sent following the first alert for any particular event. Tiered perimeters at different ranges are set up providing you with scalable response. Yellow alerts will make you aware of an approaching threat (storms), whilst red alerts can provide an imminent warning, allowing for appropriate actions to be taken. This scaled response means you are kept aware of the threat whilst minimising downtime. The alerts provide range and positional information of the lightning strikes and the perimeters can be set to custom ranges, allowing them to work with your lightning and storm contingency procedures. The alerting system can also be set up to alert on other parameters such as bush fires and observed weather parameters such as wind and rainfall (see separate product information for forecast alerts). All of our proactive alerting systems can be set up as point based systems, keeping mines, munitions depots and sensitive locations safe. Should you need to be alerted for infrastructure, no matter how complex, we can provide a network lightning and/or bushfire alert system. This network variation is a first for Australia and has proven to be popular amongst electricity network operators. The alerts will let you know what threat is affecting which part of your infrastructure, this information is valuable in any response to power line outages for example.